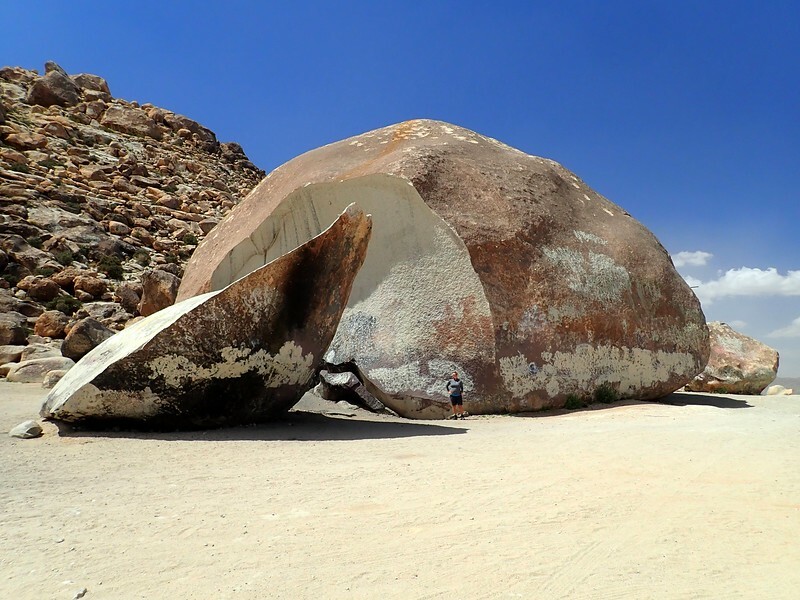 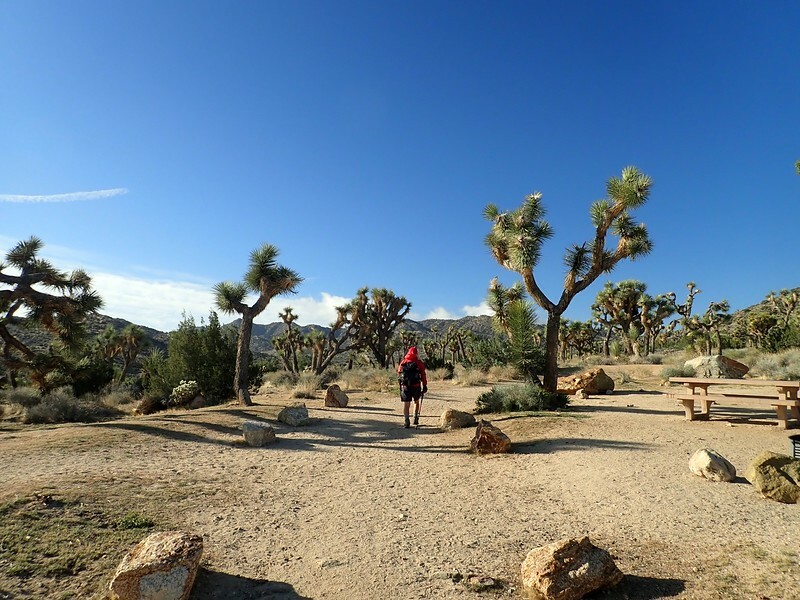 As part of a recent roadtrip around various western national parks and monuments, we spent a couple of days at Joshua Tree National Park, site of various rock climbing adventures in days gone bye. 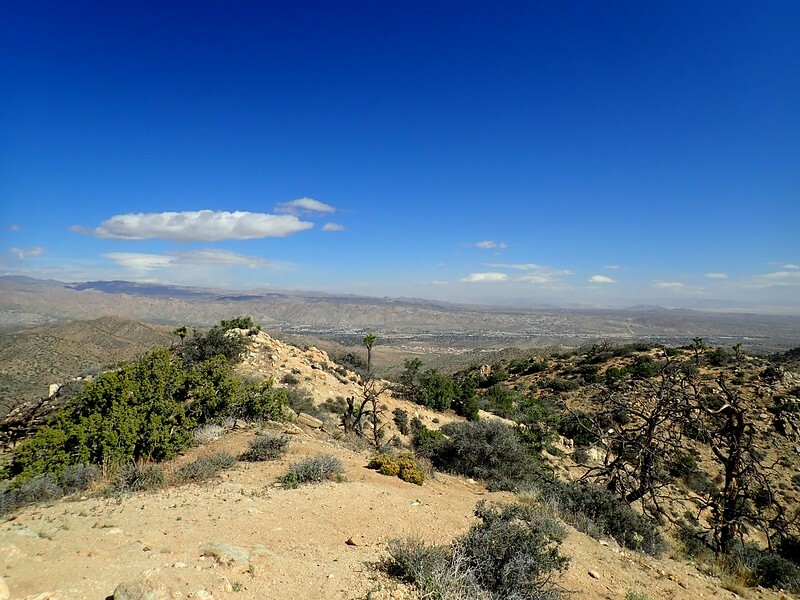 In deference to The LovedOne’s still touchy knee, we picked an easy (6 miles round-trip; 1,100 feet of elevation gain) hike to the summit of Warren Peak on the west side of the park. 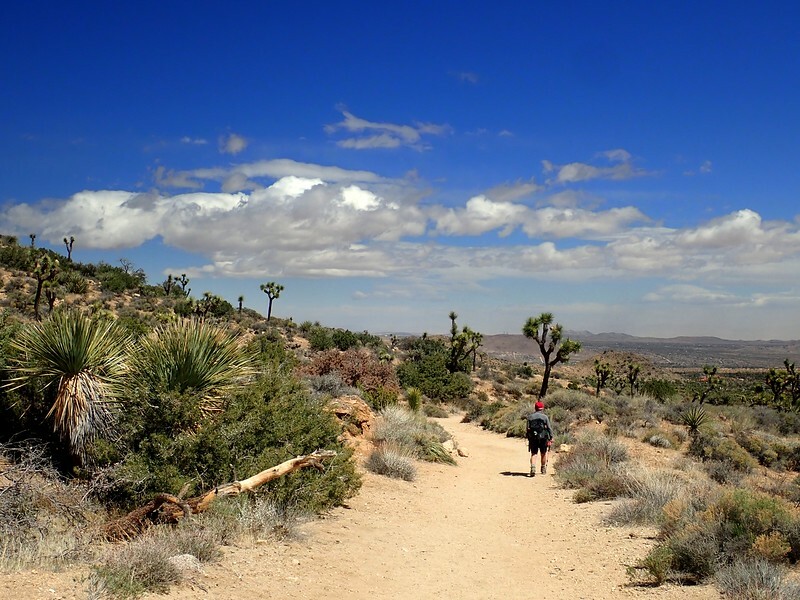 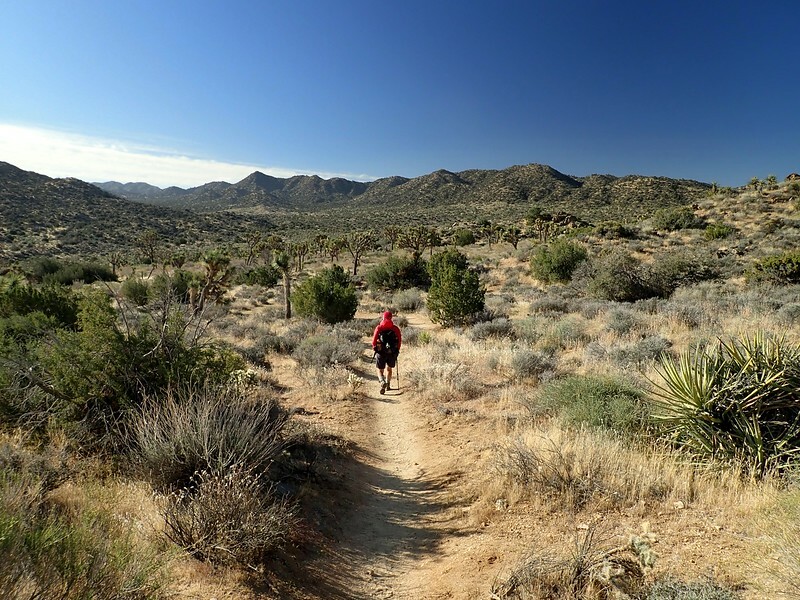 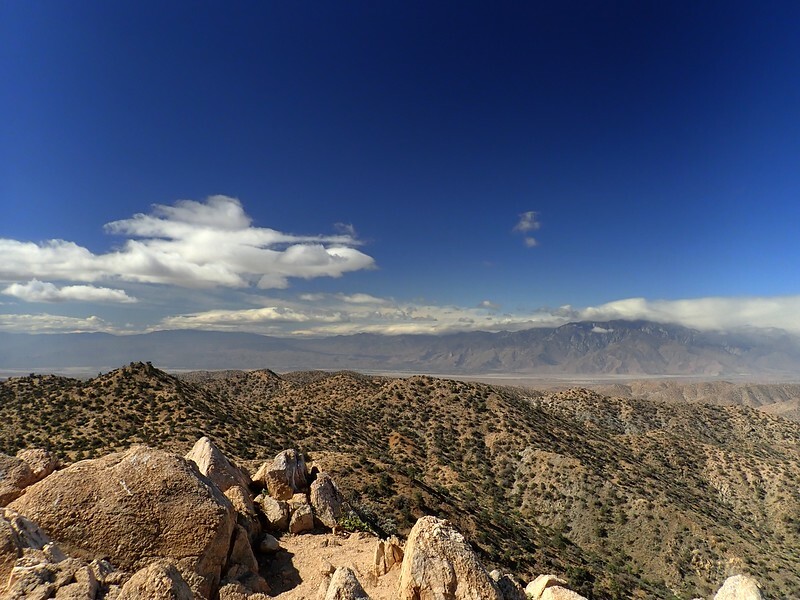 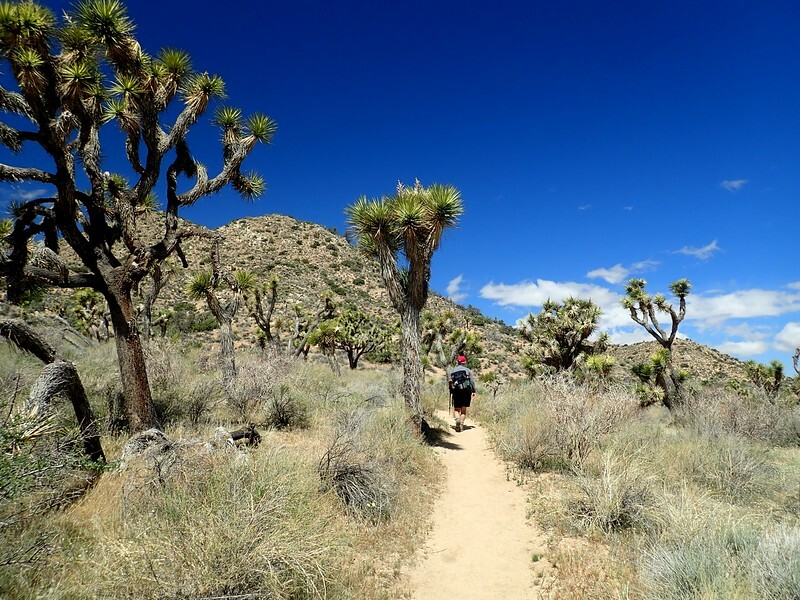 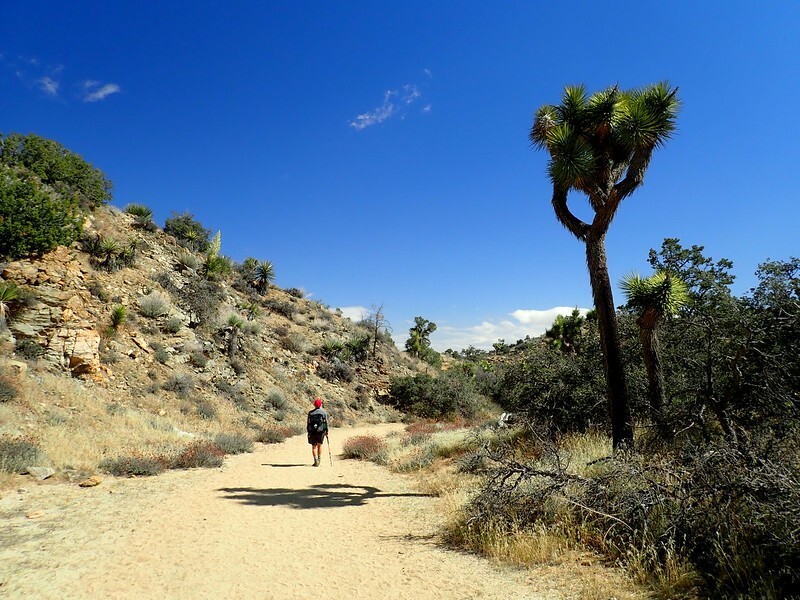 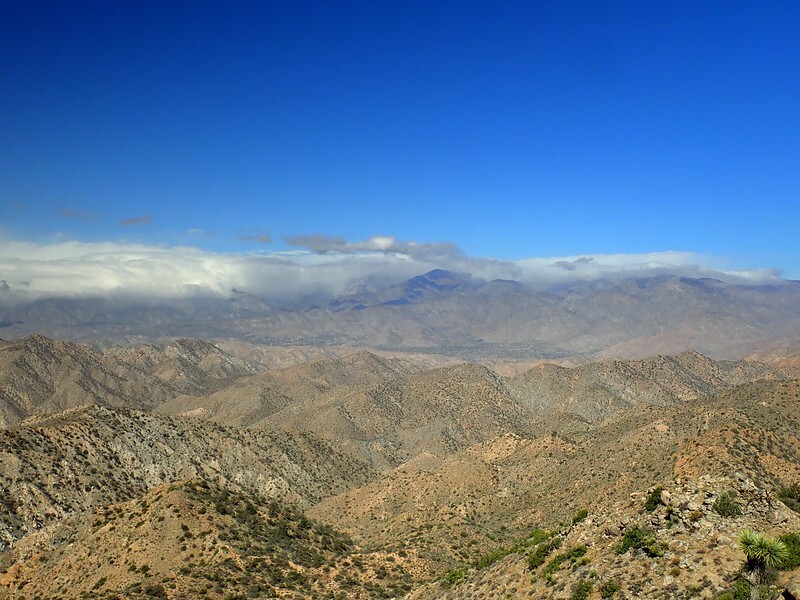 Aside from big views from the summit, we’d also be hiking in the Joshua Tree Wilderness. 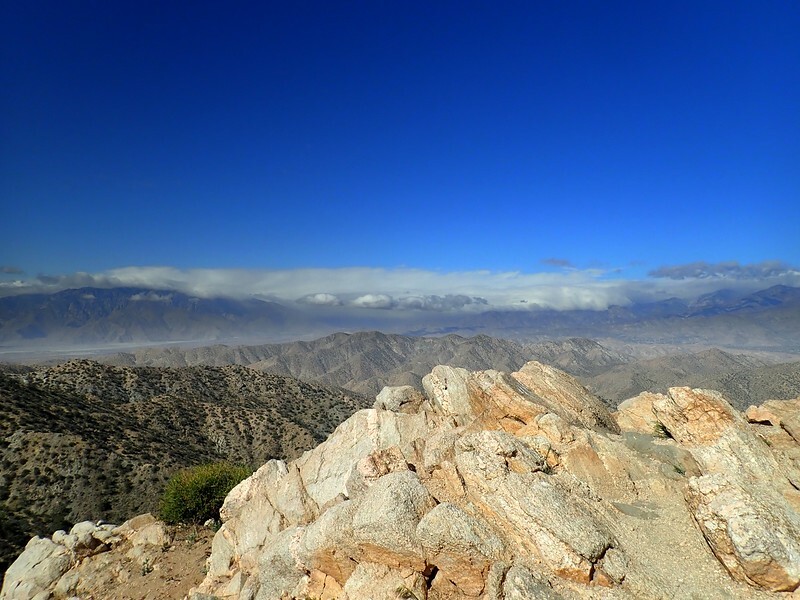 Conditions were cool and blustery but otherwise bluebird – perfect for hiking. 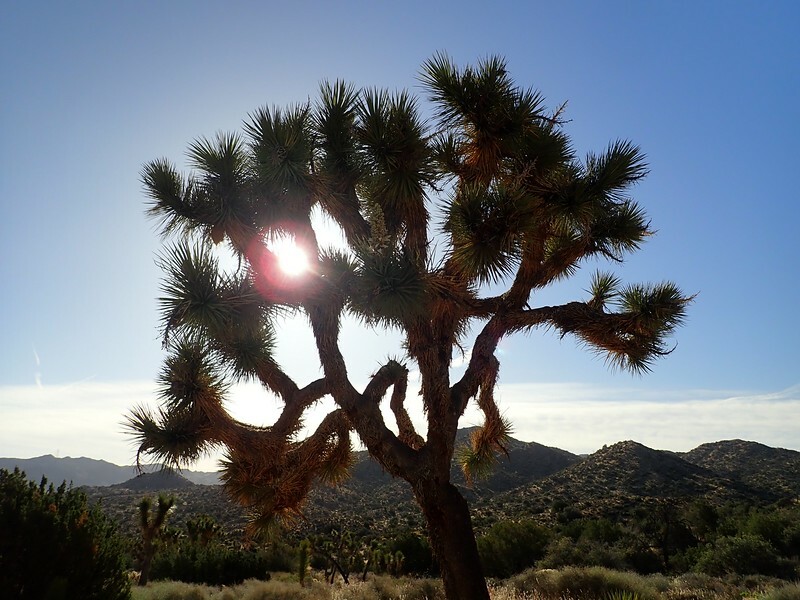 A storm was coming in from the west but it never got as far as Joshua Tree (but it did give campers at Coachella 2018 some meteorological thrills). 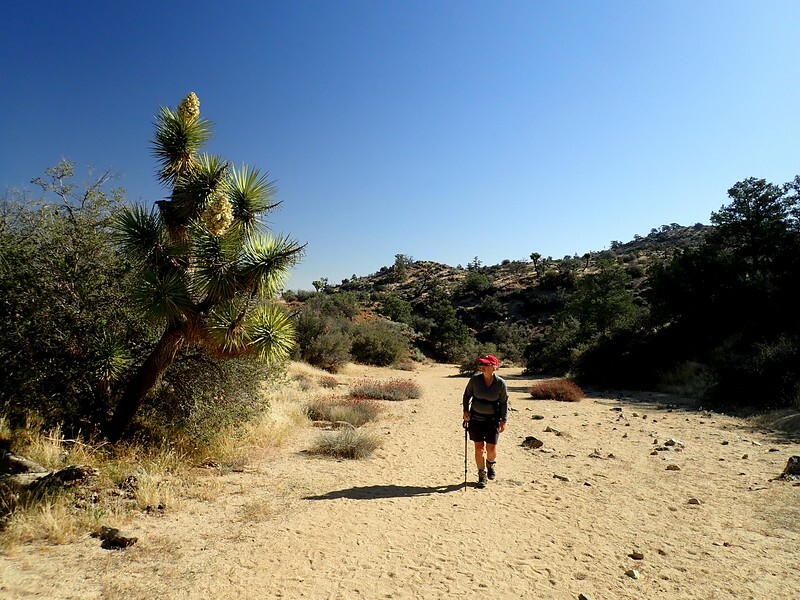 We started our hike to Warren at the Blackrock Nature Center in the Balckrock Campground. 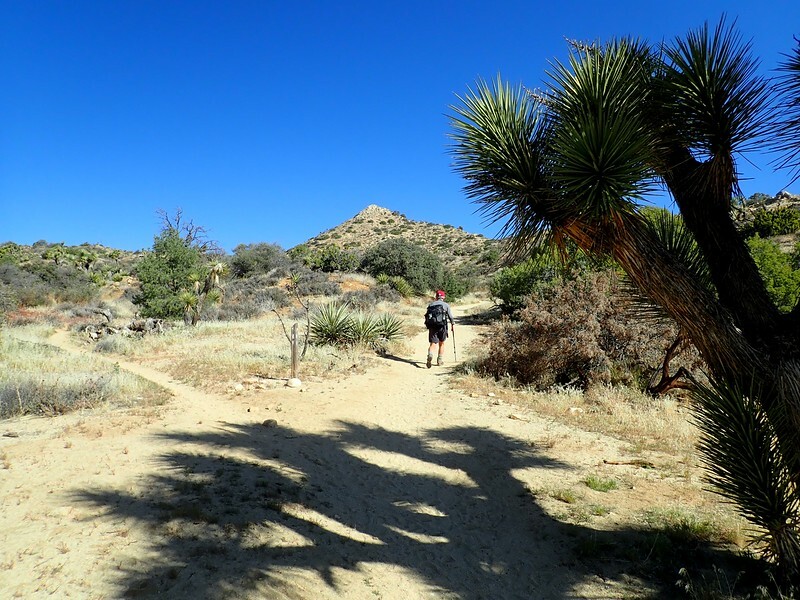 We went south through the campground to Campsite 30 and the signed start of the trail (there’s also trailhead parking here). 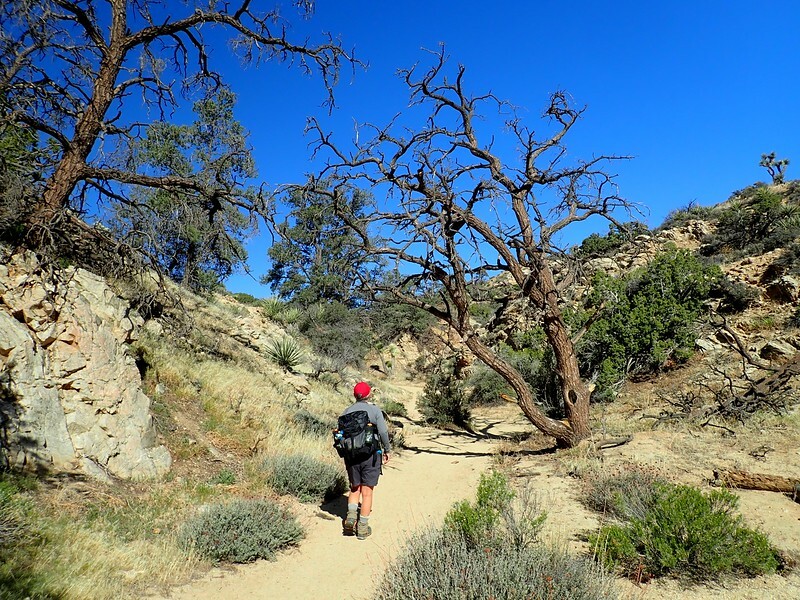 From Campsite 30, an obvious trail took us to the campground’s watertank, and then to another signed trail that traversed (in 0.4 miles) into Black Rock Canyon. 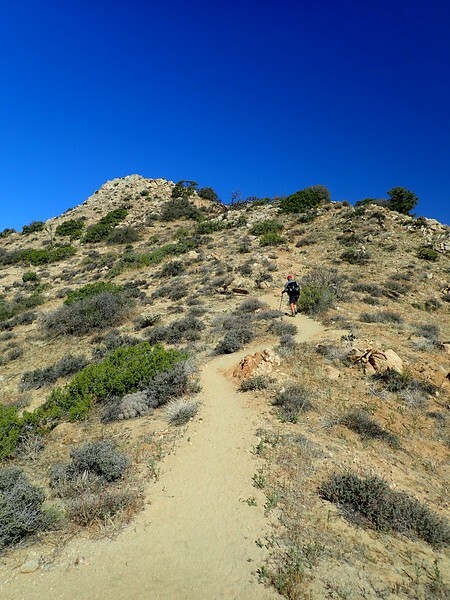 and starting up toward the summit. 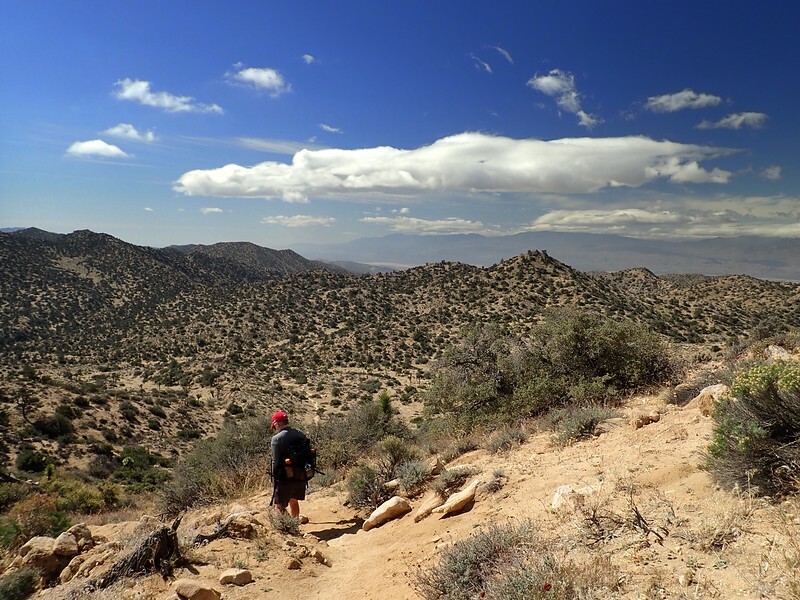 Some trip descriptions we’d read mentioned having to scramble to reach the summit but we found an easy and not overly steep trail all the way to the top. 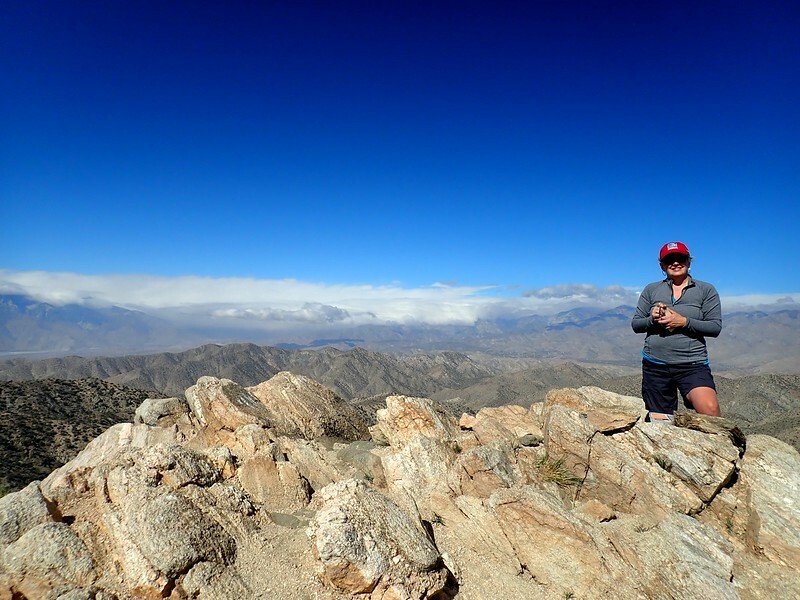 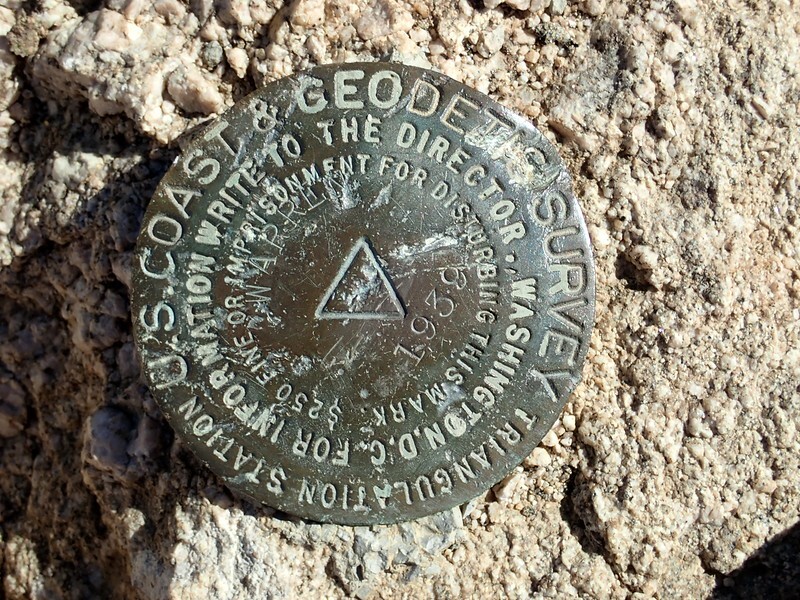 and to the northwest, Mount San Gorgonio, at 11,503 feet, the highest point in Southern California. 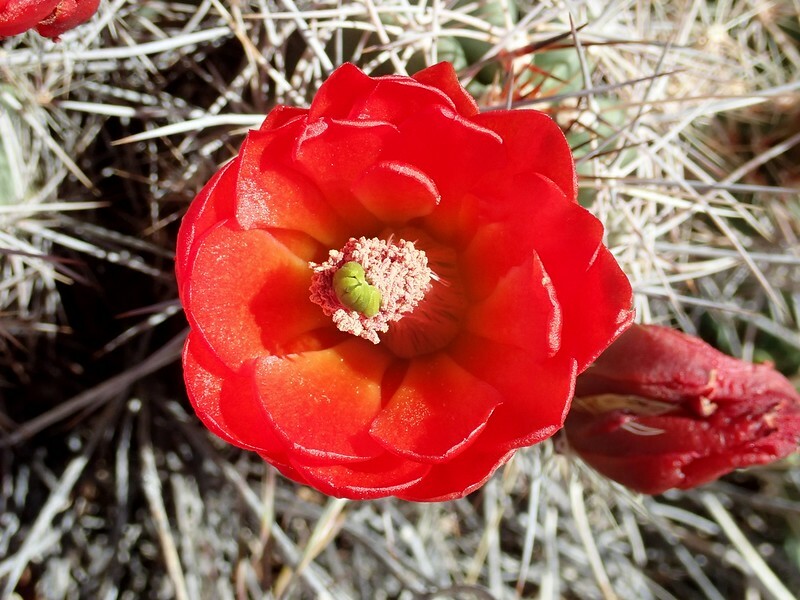 On the way back, we took the time to enjoy some of the wildflowers and cacti that were in bloom along the trail. 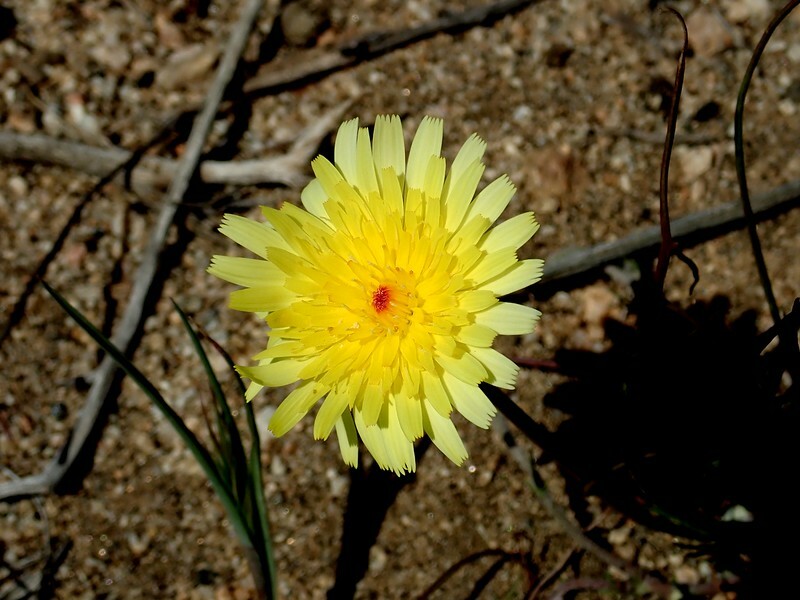 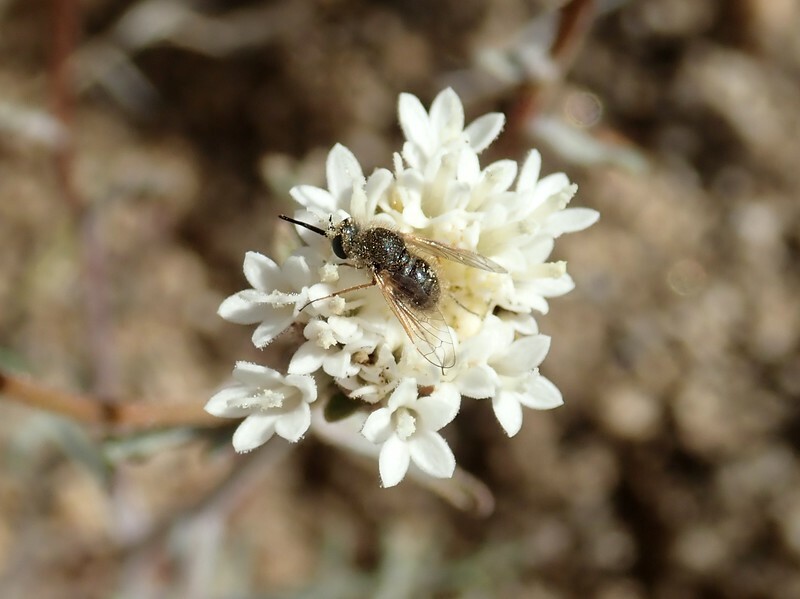 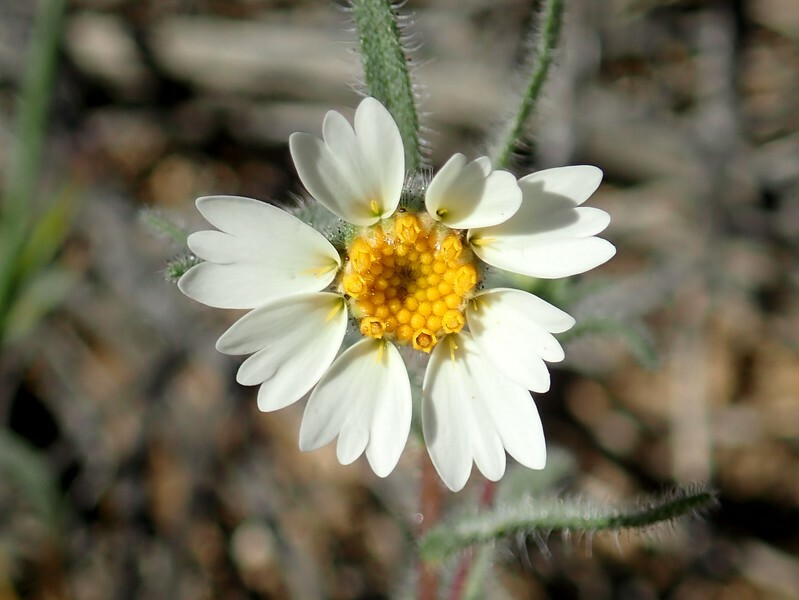 Sorry, we don’t have a J-Tree wildflower guide, so these IDs are tentative at best. 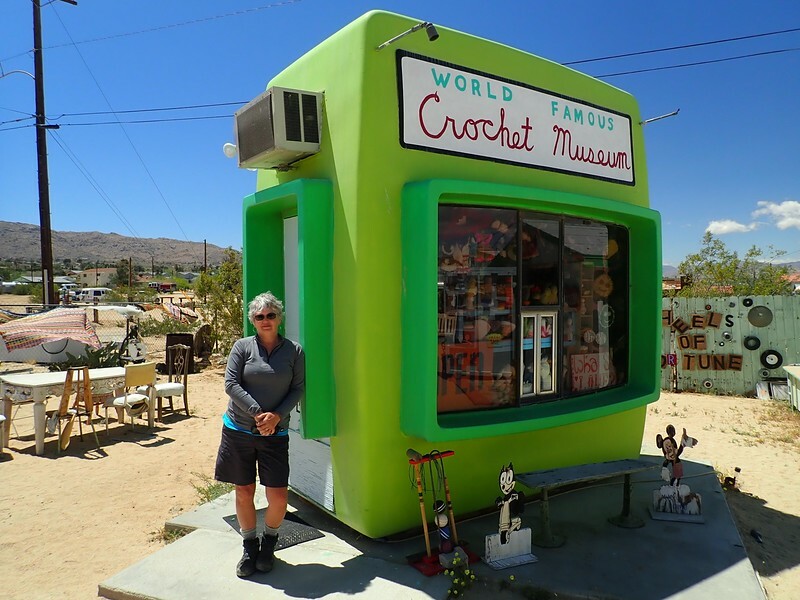 and the World Famous Crochet Museum.